For a big-city escape with beach-town vibes, pack your bathers and go on holiday in Wollongong. Known affectionately as “the Gong,” Wollongong stretches down the coast of New South Wales, just 82 km south of Sydney. As you cruise down the long coastline, you’ll feel your worries melt away. This may have something to do with the warm sun, but the gorgeous views of the Tasman Sea and the breeze in your hair help too. Score some wild Wollongong holiday deals and get ready to bang the “Gong” on your next getaway! Wollongong is a slender strip of neighbourhoods lined with beaches and bordered by nature preserves. In other words, it’s gorgeous. Pick up one of Wotif’s Wollongong car hire options and start cruising—a convertible or something with a sunroof will do. To get the most out of lying on your towel and listening to the waves, find your centre with a peaceful tour of Nan Tien Temple, the largest Buddhist temple in the Southern Hemisphere. 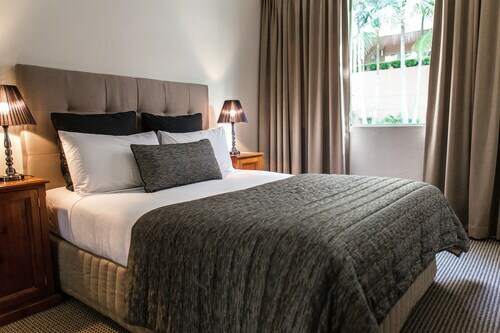 Now, to scope out the best place to lay out your towel and settle in for a good tan, take a spin on the Grand Pacific Drive (aka Lawrence Hargrave Drive), curving through parks and along almost every possible place to sunbathe in the city. If you want to hang ten, pull over at North Wollongong Beach and grab a surfboard. Prefer to paddle? Float south to Illawarra Beach, opposite a lake with the same name. There’s plenty more where that came from, so if you’re gonna have any problems during your Wollongong holiday, finding a beach ain’t one. When it’s time to find fab souvenirs, Wollongong holidays are on point. For the full mall experience, fill the boot with seaside treasures at Wollongong Central on Crown Street. If you don’t want to leave the gorgeous weather for a single second, amble over to the open-air Foragers Market at Slacky Flat Park—a showcase of local vendors selling fashion, food and flowers. Oh, and sometimes you can catch a festival, which is loads of fun. Hungry? Chow down on Foragers fare, or take your pick from the many restaurants lining the waterfront. You’ll find heaps of international cuisine and seafood options in all the neighbourhoods, but Keira Street, between Smith and Burelli, is an especially tasty section of town, so grab a table. As you can guess, the fun in Wollongong doesn’t stop when the sun goes down. The city is sprinkled with posh hotel bars and casual cantinas, so you’re never too far from a cocktail and a good conversation. The live music scene is just as vibrant as the beachfront sunsets, so if you’ve got to get out on a dance floor, you’ll be in the right place! If Wollongong had a beach for every reason you should take a holiday, you’d know exactly where to go. Well, guess what—they do! Book Wollongong holiday packages with Wotif and add awesome deals on airfares and accommodation to the list. 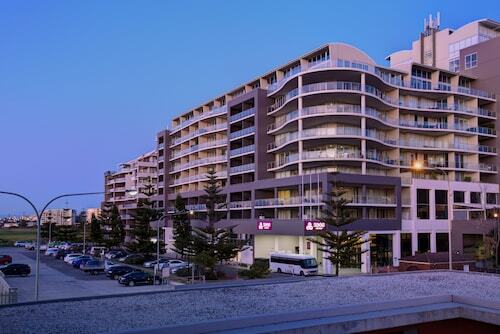 Located in the heart of Wollongong, this apartment building is within a 15-minute walk of Illawarra Museum, Wollongong City Beach, and North Wollongong Beach. Wollongong Hospital and University of Wollongong are also within 3 mi (5 km). Wollongong Station is 18 minutes by foot and North Wollongong Station is 22 minutes. 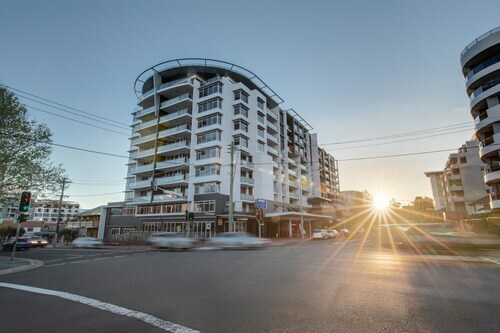 Located in the heart of Wollongong, this luxury apartment building is within 1 mi (2 km) of WIN Stadium and Wollongong Hospital. Wollongong Science Centre and Planetarium and University of Wollongong are also within 3 mi (5 km). Wollongong Station is 17 minutes by foot and North Wollongong Station is 26 minutes. 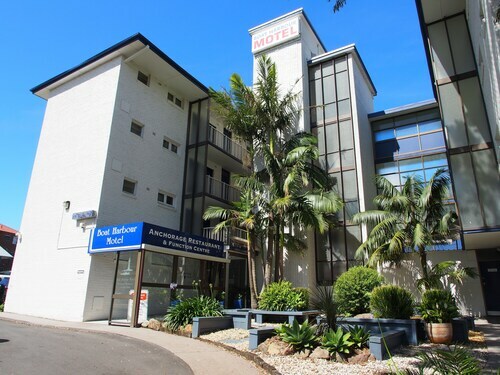 Located in the heart of Wollongong, this motel is within a 10-minute walk of Wollongong Fish Market, Wollongong City Beach, and North Wollongong Beach. Wollongong Hospital and University of Wollongong are also within 3 mi (5 km). North Wollongong Station is 23 minutes by foot and Wollongong Station is 24 minutes.